I think everyone’s familiar with the Star Wars prequels, and how universally panned they are. There are a lot of reasons: bad writing, bad acting, pushing the limits of CGI and greenscreen way past where the early 2000s could realistically support them… but not all of the problems are so easy to explain. Some of them aren’t limited to just Star Wars, but rather common afflictions of all (or at least most) prequels. So today we’re going to examine the concept of the prequel, as one of the inevitable ramifications of the rampant efforts towards franchise creation over the last 20 years, and look at just where they often go wrong. When writing a prequel, it’s generally done with a specific purpose: to explain backstory of the world, or take a more detailed look at a character and how they came to be as they were during the original work. The Star Wars prequels, for example, try to do both of these with the rise of the Empire and Anakin Skywalker’s fall to the dark side, respectively. However, this has one obvious consequence, and that is that the the state of the world at the end of the prequel must be the same as or directly leading to the state that the world held at the beginning of the original. It seems painfully obvious, but it’s critical to the integrity of a prequel’s story. If the prequel fails to do this in some way, then it has inherently failed at being a prequel. This doesn’t mean that everything must be exactly as it was by the end; often times, the conclusion of a prequel simply leaves the final transition to that state implied, once the major players are in place. For example, the prequels don’t show Luke and Leia growing up, or how the rebellion began, but it does show the Empire forming, Darth Vader donning his suit and taking his place at the Emperor’s side, how Luke and Leia were separated, etc. We can assume what happened in the interim from where the prequel left off. Obi-Wan, Anakin, and Padme, about to be executed. What are the odds that any of them will even be injured? However, this also counteracts one of the biggest sources of drama in fiction. With the writer of a prequel having his hands tied with a preset ending, there are only so many directions the story can take. Continuing with the Star Wars example, we all knew that the Jedi had no chance of surviving, and the Republic couldn’t possibly win the battle. Anakin, Obi-Wan, Yoda–they all had to survive. We already knew when they’d die, and it wasn’t during the Clone Wars. With so much of the ending already known to the audience, it can be very hard to get them invested in the events of the story. Why care about the apparent danger that Anakin and Obi-Wan are in when we already know nothing can happen to them here? And, while it’s true that protagonists are often not going to die in the middle of a story, there’s always the possibility of some other incident happening to them, such as being injured or maimed, but even that’s not possible in a prequel. 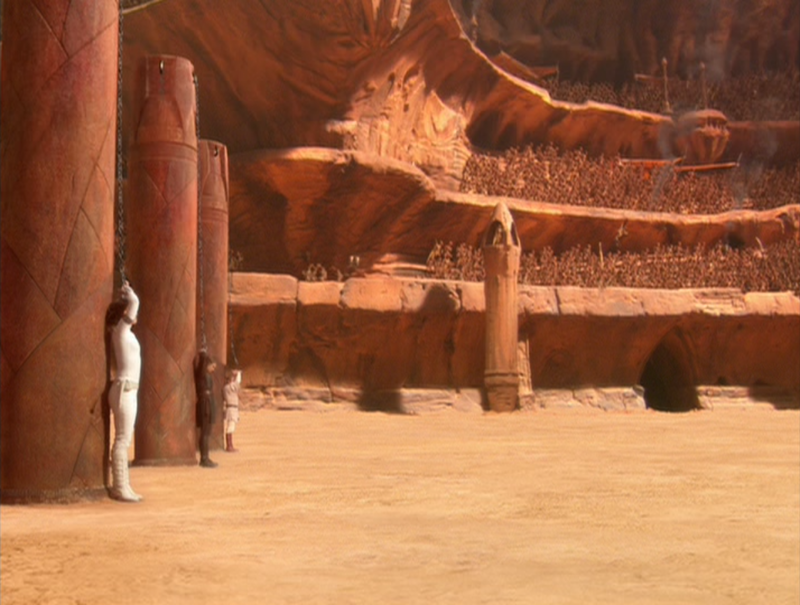 Take this scene from Attack of the Clones, for example, when they’re captured by the Geonosians. They say repeatedly they’re about to die, but the audience knows they can’t possibly be harmed, because they haven’t yet had the chance to give birth to Luke and Leia. It’s hard to believably talk up the danger when the audience knows it’s fake. Did this add anything to the story, or was it just a way to squeeze a familiar face into the movie? There are other problems with this, too. Often, with a prequel, there’s the desire to include other elements that would be more at-home in a regular sequel–nods, continuity references, cameos, etc. This is especially problematic when it is done for elements of the story that really have no business being involved in the prequel. Was it necessary to see Chewbacca helping Yoda escape Order 66? Sure, there’s nothing in the original trilogy to indicate that they never met, but there’s also no reason to think that they had. Why would they? They have little in common, aside from appearing in the same film, and by making everyone so interconnected, it makes the world feel smaller, as if out of a galaxy of quadrillions, there are only two dozen people of any importance behind everything. When prequels get too wrapped up in reveling in their own continuity, it ends up hurting the work as a whole. This desire to include lots of elements from the original work in the prequels that don’t belong has been one of the big problems plaguing The Hobbit trilogy. Heck, the fact that it’s been stretched into a trilogy is indicative of just how much “prequel-type” stuff they’ve been cramming into it. And yet the opposite can also become a problem. To change gears for a minute, Star Trek : Enterprise, a prequel series to all four of the later series, introduced a species called the Xindi. We’re told that they’re powerful, and important, and will eventually join the Federation in the far future (much farther than when any of the series are set). They also launch a devastating attack on Earth, killing thousands of people, sending the very first Enterprise out on a year-long, desperate mission to stop them. And yet, they’re never heard of or mentioned in any of the other series. If they’re so important, what have they been doing for the 300+ years between Enterprise and TNG? Obviously nothing too significant, or they’d have warranted a mention of some sort. Later in that season, it’s stated that another group of aliens came back in time and told the Xindi that the humans would exterminate them, and with how conspicuously absent they appear to be, one has to wonder if maybe there’s some truth to that. 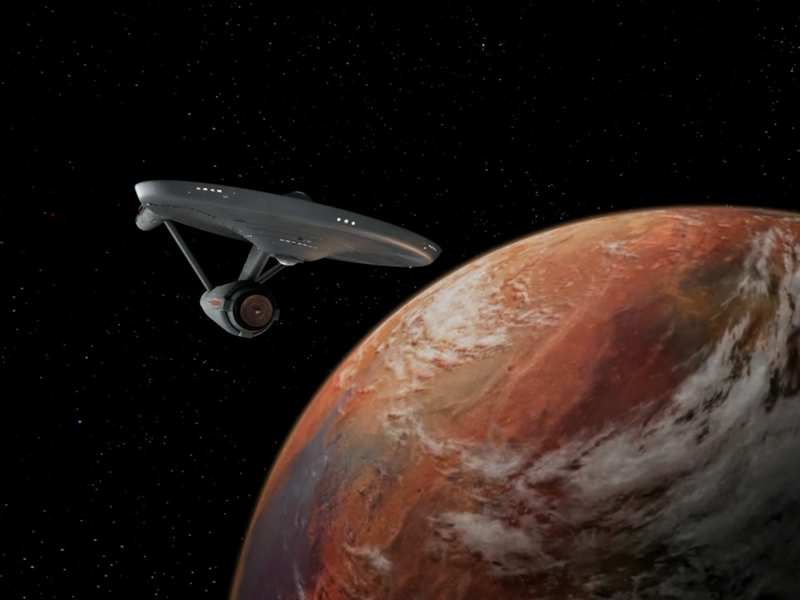 Of course, this is another way that Enterprise went wrong in its attempt at a prequel–the producers, still wanting to move forward in the timeline but without worrying about the technology getting too ridiculous, decided to make time travel a critical part of the show from the beginning. This inability to let go ended up muddling things a lot, and without contributing much to the story of how things got to be the way they were. In fact, the time travel shenanigans often distracted from the crew’s primary missions and actually prevented us from finding out how the Federation was founded in the end. It was an attempt at subverting this “foregone conclusion” problem, but rather than solving the problem, it merely made things worse by disrupting the one goal that a prequel has to fulfill. 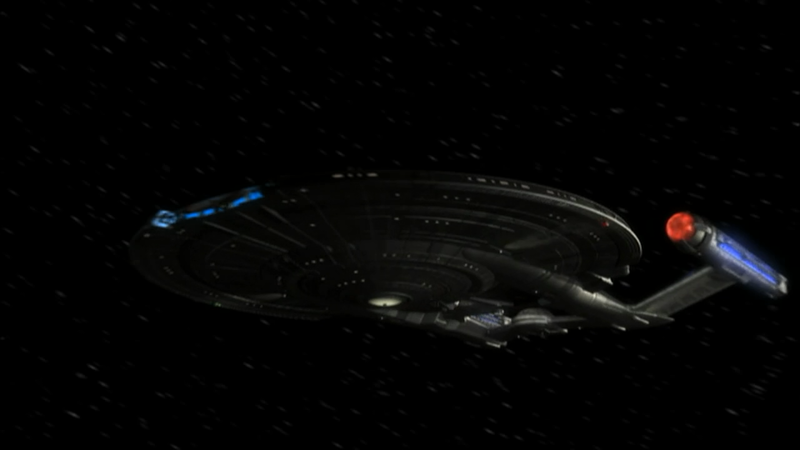 …and the 23rd century Enterprise. Which looks more advanced? Of course, there are more practical concerns with prequels as well, especially those in television and film. The advances in CGI have led to the phenomenon of prequels “looking” more advanced than the originals, even though by all rights the technology seen in the prequel should be more primitive. The very dated, 1960’s look of the original Star Trek‘s Enterprise interior, circa 23rd century, often looks silly when compared to the modern look seen in the prequel series, which is heavily based on real spaceships of today. George Lucas claims to have done this deliberately, to reinforce the idea of the Star Wars prequel trilogy being set in a “more civilized age.” This is what TVTropes refers to as the “cosmetically advanced prequel,” which actually uses Trek as the page image. Then there’s the fact that while a prequel may be set chronologically earlier than the original, it’s still being filmed later in reality. Actors age, and that can hurt the believability of a prequel as it begins to show. Sometimes, like with Star Wars, this ends up calling for recasting, which brings performance changes and comparisons, often times with almost impossible expectations to live up to as a result. Or just avoid putting in Jar-Jars. That would help a lot.